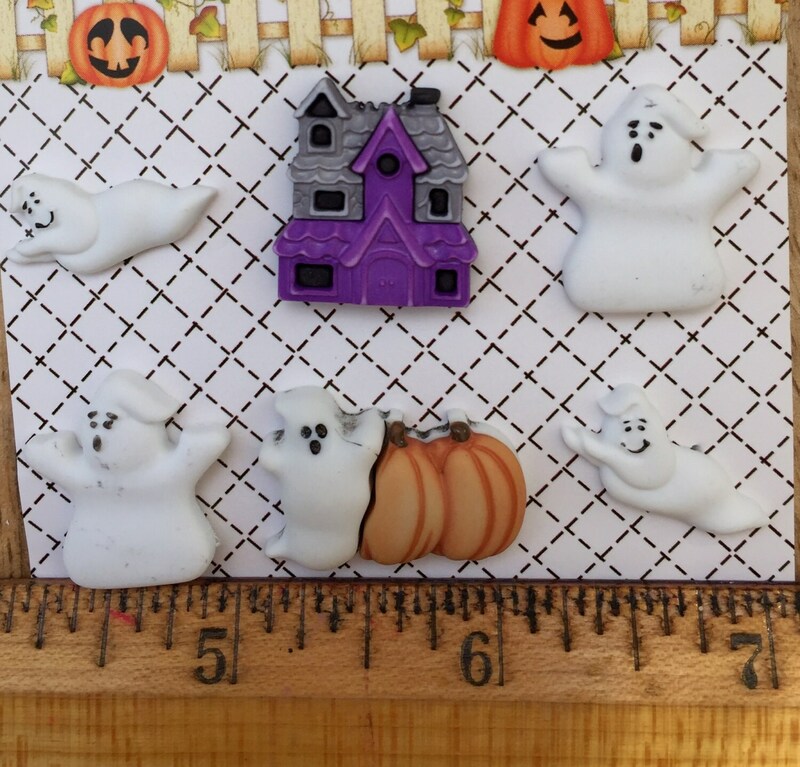 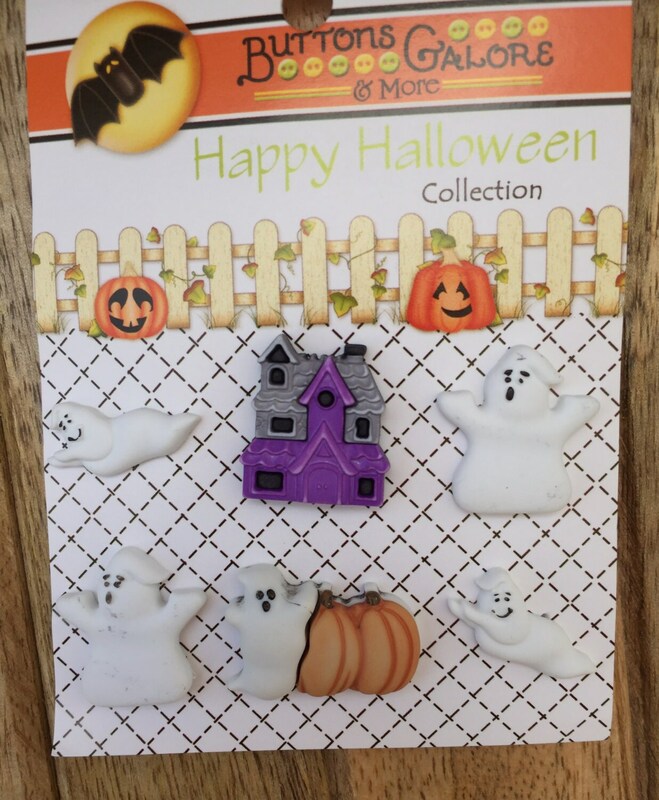 Fun Ghost and Haunted House Buttons, "Boo Buddies" by Buttons Galore, Halloween Collection. 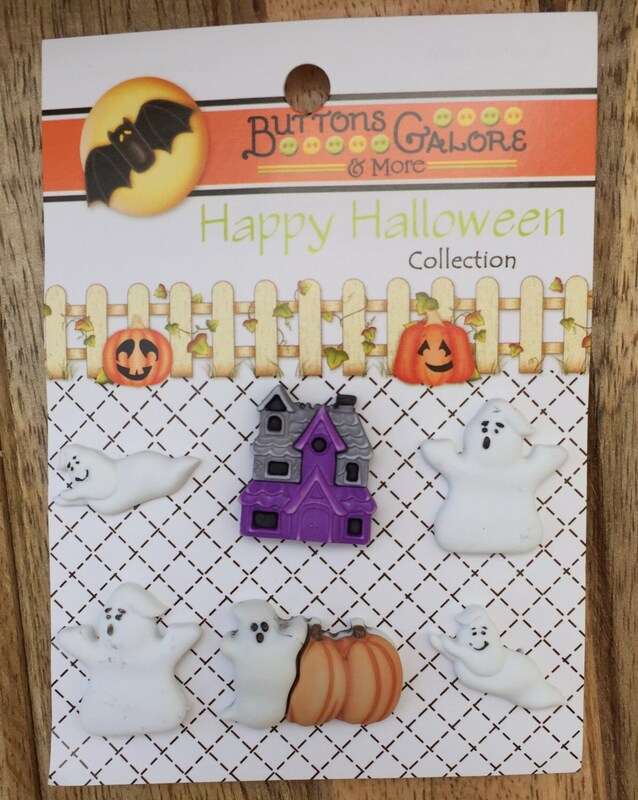 Carded Button Set includes 6 buttons, 5 ghosts and 1 haunted house. 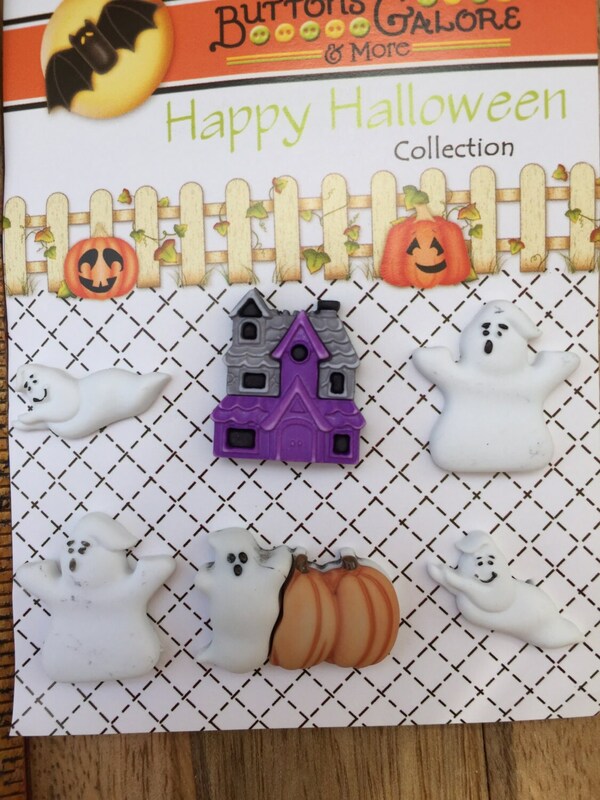 Cute, 3D detailed, shank back buttons. 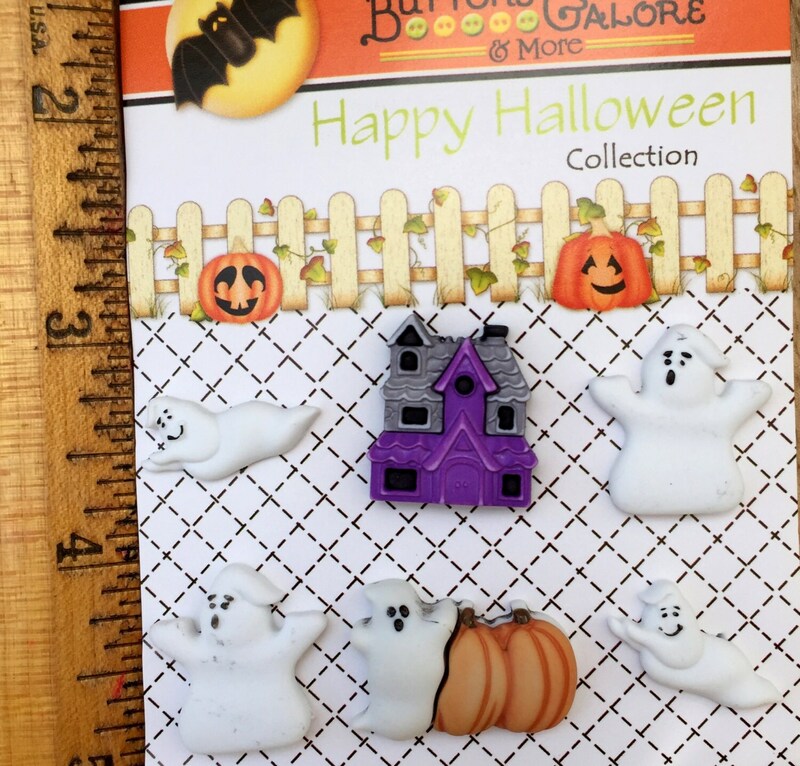 ~Listing is for 1 card of 6 buttons as shown.